Biciclette reclinate PER TUTTI: Quanto conta l'inclinazione del sedile in bici reclinata? Quanto conta l'inclinazione del sedile in bici reclinata? Semplice confronto tra due inclinazioni del sedile sulla Rev: 37° e 32°, su circuito in falsopiano. Simple comparison between two seat inclinations on the Rev: 37 ° and 32 °, on a false slope circuit. La conclusione è che su questo tipo di tracciato abbastanza pianeggiante vale la pena perchè si guadagna circa 1 km/h sulla media, a parità di sforzo. La controparte è che la bicicletta diventa più difficile da controllare e la posizione è meno comoda per il ciclista. Però almeno con questa semplice prova si può capire a grandi linee quanta è questa differenza. The conclusion is that on this kind of fairly flat track it is worthwhile because you gain about 1 km / h on the average speed, with the same effort. The counterpart is that the bicycle becomes more difficult to control and the position is less comfortable for the cyclist. But at least with this simple test we can understand more or less how much is this difference. A fine video ho inserito anche una breve analisi di un segmento in salita della stessa uscita, il classico "San Carlone" dove con la Rev10 ho battuto il mio personale di quasi 20 secondi (su una salita di 4 minuti). 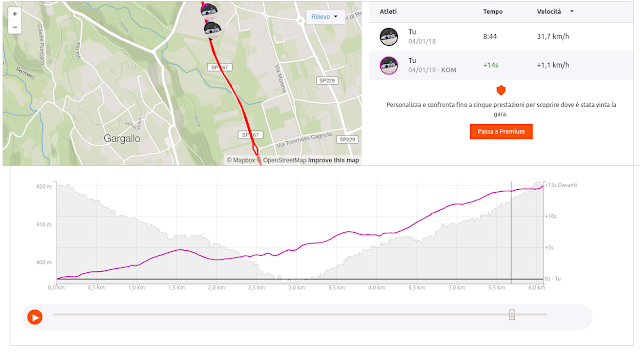 At the end of the video I also included a brief analysis of an uphill segment of the same exit, the classic "San Carlone" where with the Rev#10 I beat my personal time attack, almost 20 seconds less (on a 4 minute climb). ma allora dovemmo usare una zavorra, visto il peso elevato della vecchia "V". 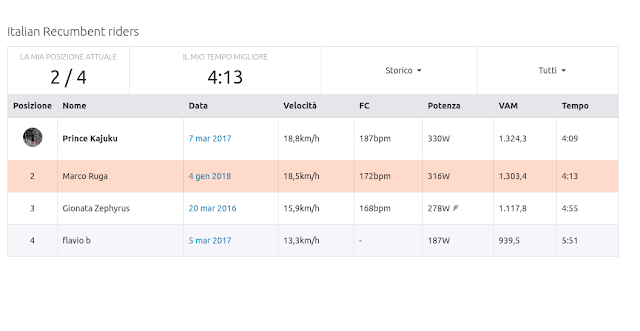 Anche la posizione sulla classifica di Strava è di rilievo. Siamo molto alti, 300mi su 3000 e passa per cui, anche se questo conta poco o nulla visto che non è una gara ma una classifica virtuale, in ogni caso la Rev si difende molto bene. but in that occasion we had to use a ballast, to equal the weight of the old recumbent"V" to the road bike. The position on the Strava ranking is also significant. We are very high, 300th out of 3000, and even if this counts little or nothing considering that it is not a race but a virtual ranking, in any case the Rev defends very well. 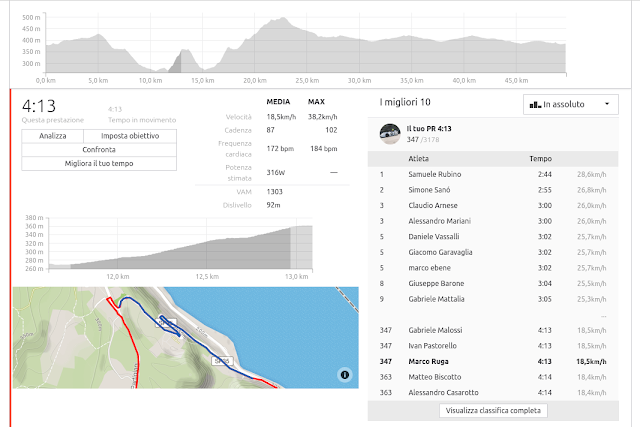 A ennessima riprova di tutto questo mappazzone di ragionamento, sono a 4 secondi dal tempo di Serafino che, però, fu ottenuto in bici da corsa, con una Bianchi Oltre top di gamma. Visto che io e lui abbiamo sempre e comunque prestazioni confrontabili, questa è l'ennesima riprova che se esiste una reclinata che ha speranze di confrontarsi con una bici tradizionale in salita, assomiglierebbe molto a sta benedetta "Rev". A confirmation of all this, I am 4 seconds from the time of Serafino that, however, was obtained using racing bike, with a top Bianchi Oltre. 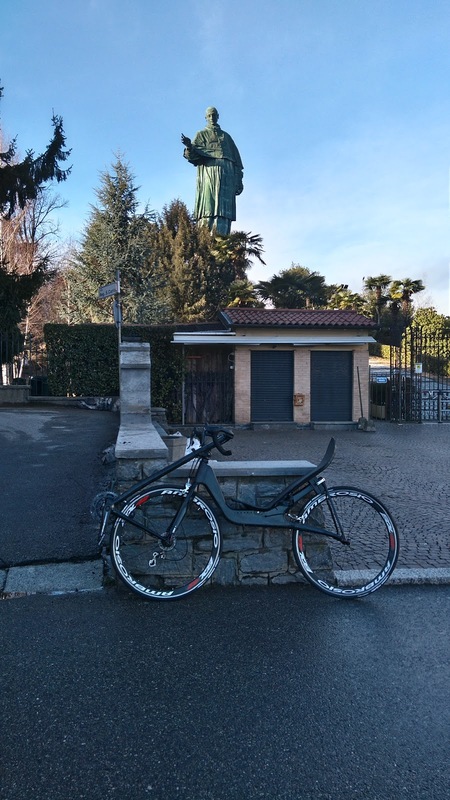 Since he and I always have comparable performances, this is yet another proof that if there is a recumbent that has hopes of confronting a traditional bike uphill, it would be very similar to the "Rev". Hi Marco! Good work again. On my last MBB build, I aimed for a body angle of 138 degrees. But as my seat was made lower, the pedals were higher. The seat seat angle was 37 degrees, but the body angle was less than 135 degrees. Riding the bike felt cramped, and my speeds were low. I reclined the seat further, down to 32 degrees, but felt a bit flat for riding around town. I raised the seat back up to 35 degrees. Perfect! 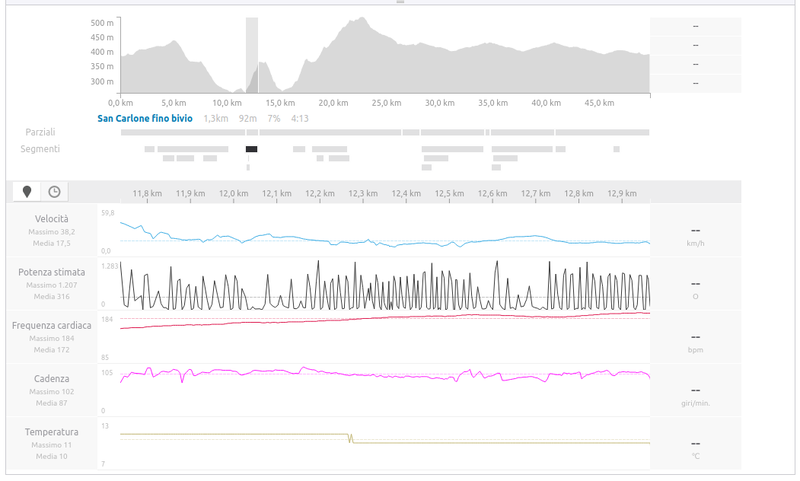 Still produce good power and speed, and body open enough not to feel cramped! So, my take, is the body angle is more important than seat angle alone. Aim for 138 degrees body angle. Hope this translates well to Italian! The better situation is with low feet (at the same high as the lover part of the seat) and vertical bust. This is what I think at the moment, according to all my test on the road. The body angle itself is important but much mor important is BB positon.